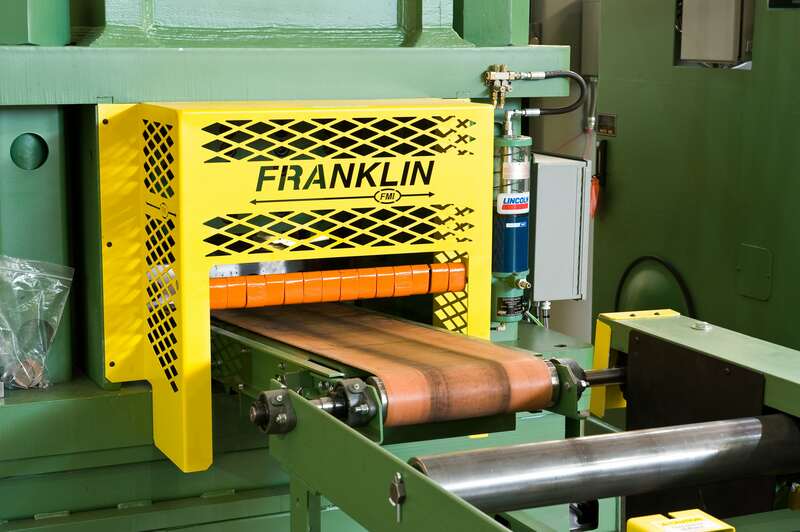 The Franklin Plate Line provides high capacity punching and shearing. It is designed for producing heavy base plates and splice plates. The 330-ton punch ram, 38 tons of hydraulic stripping, and quick change tooling provide a multiple of gauge configurations. 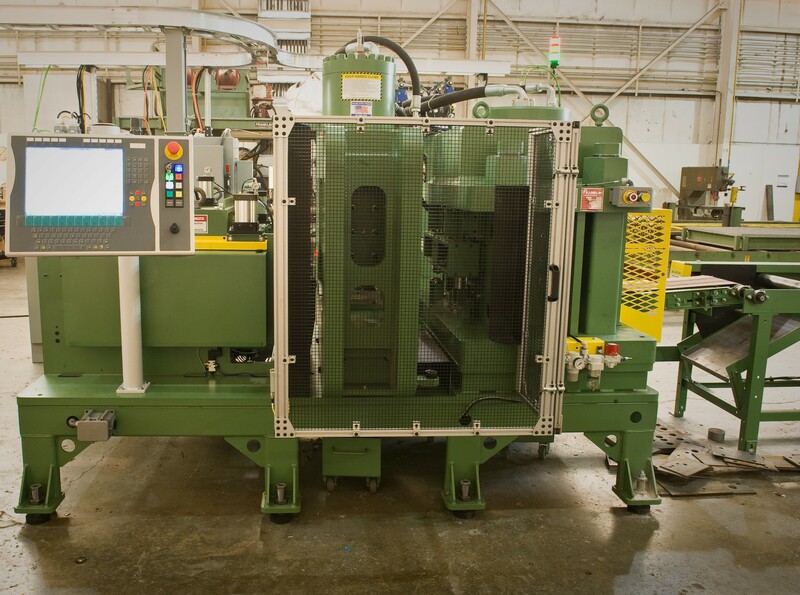 The Model 5330 shear station with hydraulic hold-downs provides cutting capacity for 1"x 18" or 1¼"x 14" bar. The infeed conveyor has a heavy roller bed, servo-driven rack, and a pinion measuring carriage. The infeed system is available in 20, 40, and 60 foot lengths. 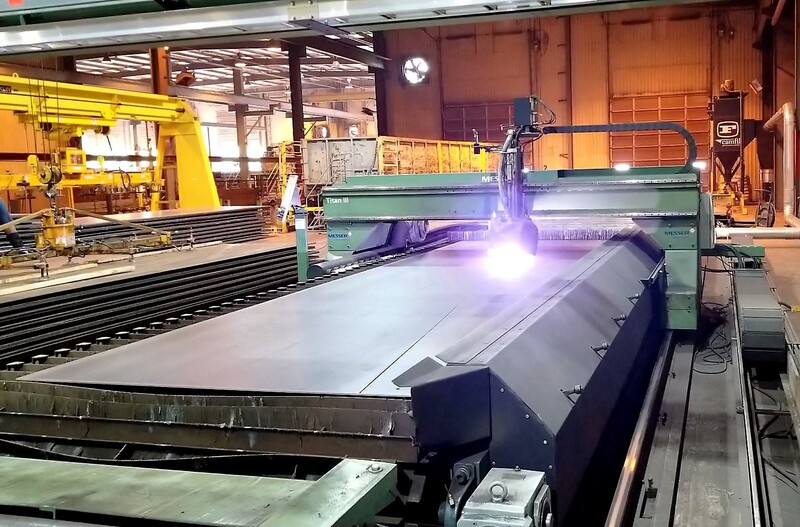 The Franklin Web Plasma Cutting system is a combination of unique material handling and high performance CNC Plasma cutting machine. 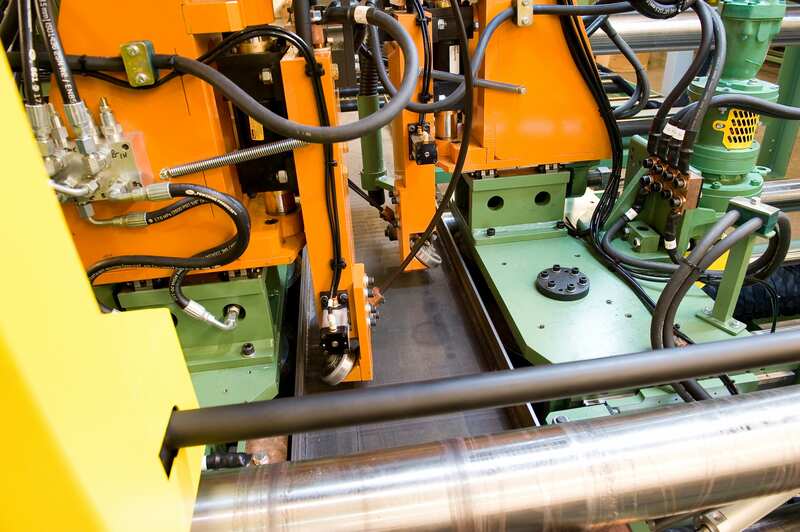 Raw sheets are automatically retrieved and loaded by a Programmable Gantry system. 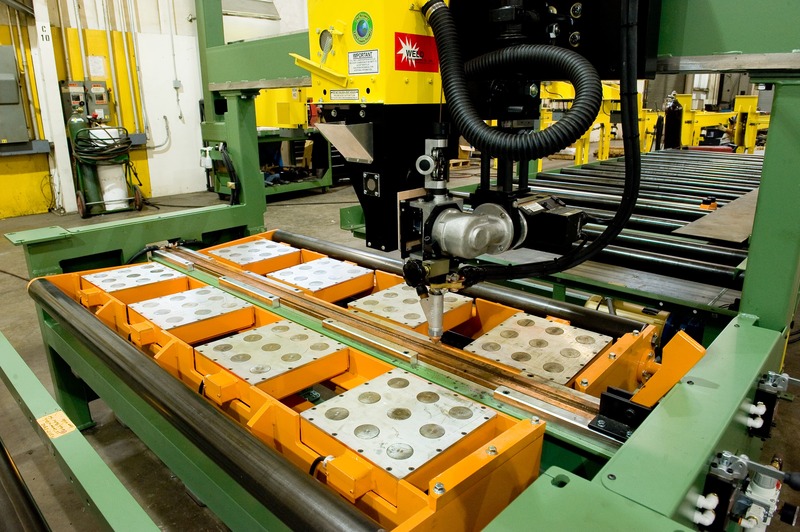 Each plate is loaded onto the infeed conveyor and squared by hydraulic pushers. 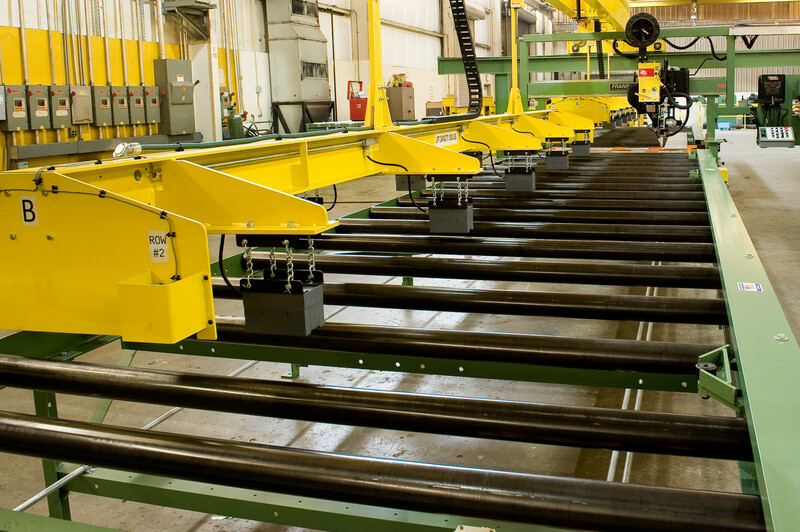 The plates are then moved by the powered roller conveyor on the driven plasma slat table. 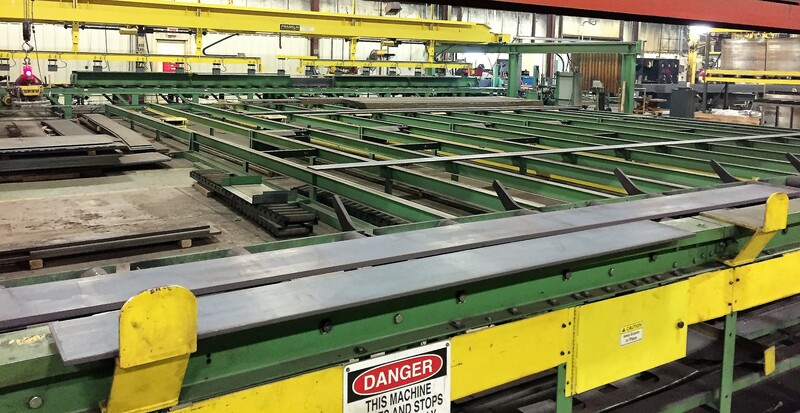 Once the webs or other parts are cut, the plasma slat table conveys forward unloading the completed parts and skeleton. We specialize in meeting your specific needs. Here's a sampling of some of our custom designs.